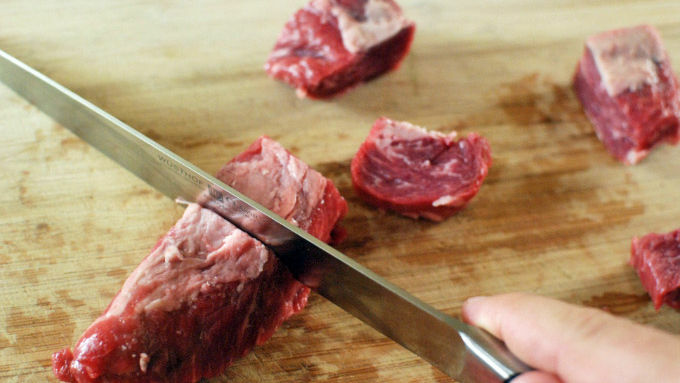 Cut the steak into squares of about 1.5 to 2 inches. Mix the steak with the rest of the marinade ingredients. Allow to marinate for at least an hour, up to 6 hours. To make the pesto, remove some of the woodier stems from the basil. 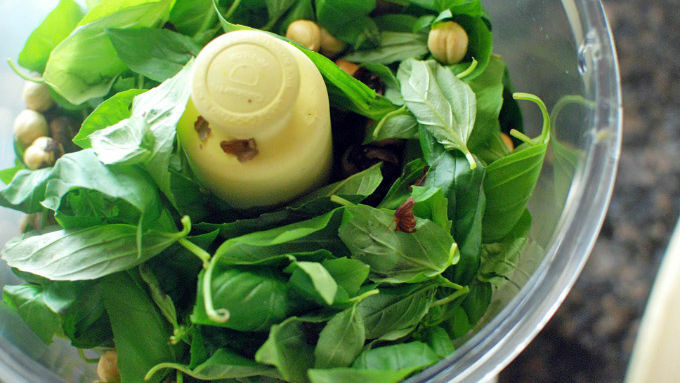 Place the basil into the food processor with the rest of the pesto ingredients. Process the pesto while adding olive oil until you reach your desired consistency. Skewer the steak. If using wooden or bamboo skewers, soak in water for at least 30 minutes first. Preheat grill on high for 10 minutes, then reduce heat to medium. Grill skewers for about 5 minutes per side to get a nice medium doneness. Serve with the pesto. You can serve the pesto on the side or apply the pesto to the steak with a brush or spoon as soon as the kabobs come off the grill. Dress up tender sirloin steak with homemade hazelnut pesto. Pesto is commonly regulated to pasta, but in reality it's insanely versatile and can be used in so many different ways. I like to put mine on steak fresh off the grill. It makes for an Italian spin on the chimichurri sauce that's popular with grilled meats in South America. To switch up my pesto this week, I decided to trade pine nuts for hazelnuts to add a totally different dimension to the sauce. Hazelnuts have a much nuttier and complex flavor that can take your pesto to the next level! 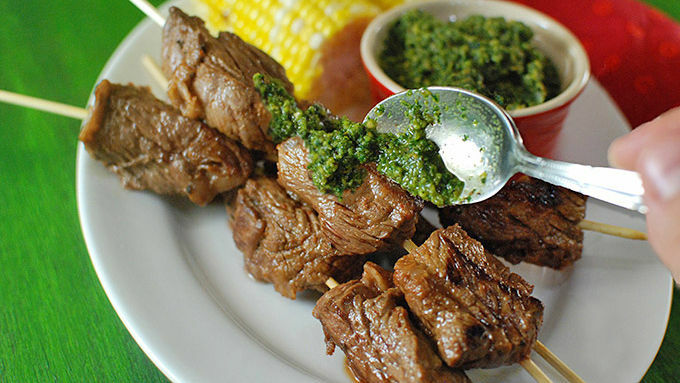 Plate up these tender kabobs with the pesto on the side. Or, you could do what I do and apply the pesto with either a spoon or brush onto the steak kabobs when they're fresh off the grill so the cheese and oil soften up and the pesto melts onto the steak.